Thousands of people living in a UN protection camp in Juba, South Sudan, have been relocated to new temporary housing, Mangateen Camp. 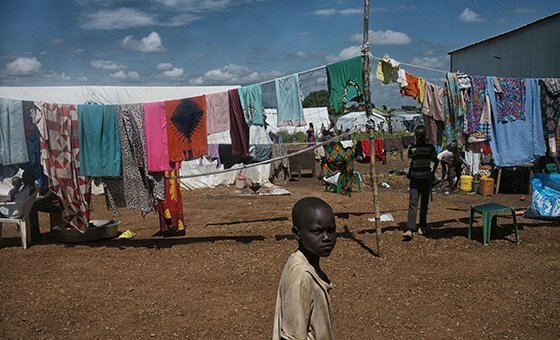 Nearly 3,500 people displaced by violence in South Sudan have been relocated from a UN-run camp in the capital, Juba, to temporary housing, the organization’s mission in the country, UNMISS, reported on Tuesday. The internally displaced people, who were living at a UN Protection of Civilians (PoC) site, have been moved to a new location at Mangateen, near the central part of the city. “This is the first movement of displaced people of this magnitude out of the UN Juba protection site. 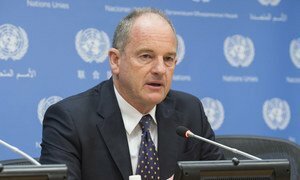 Almost all of those relocated were women and children,” said David Shearer, the Special Representative of the UN Secretary-General and Head of UNMISS. The UN mission and humanitarian agencies carried out the relocation after negotiating an end to clashes between various groups in the camp which were posing a threat to those living there. Once a resolution to the “sporadic fighting” was reached, and people expressed their desire to leave the protection camp, UNMISS and its partners worked quickly to establish the temporary housing at the Mangateen site, along with access to clean water, sanitation and health services. The facility traditionally has been managed by South Sudan’s Relief and Rehabilitation Commission. The Government body will continue to be in charge of the site, though aid agencies will provide additional assistance on request. South Sudan is the world’s youngest country, having gained independence in July 2011. However, most of the years since then have been marred by brutal fighting and human rights violations, forcing the displacement of more than four million people, either within the country or across the border. Nearly 200,000 are currently sheltering in PoC sites at six UNMISS bases nationwide. “Hundreds of thousands of people fled to UN protection sites across South Sudan out of fear for their lives during the ongoing conflict. But these camps are not a good long-term option for families,” Mr. Shearer stated. There was jubilation in the streets of South Sudan’s capital overnight on Sunday, as residents celebrated a new agreement that the top UN official in the country has described as “a big step forward” towards ending nearly five years of brutal conflict.